J.H. Sears Co. of New York (with printing done by Sears’ affiliated Kingsport Press, in Kingsport, TN) issued numerous series in copious numbers (including the Readers Library, Royal Collection, the Royal Red Library and the Royal Blue Library. The firm was established in 1922 when J.H. Sears, head of Appleton, left that firm to start his own. Sears Co. was not related to the department store with the same name, although they sold the Royal Red and Royal Blue Library at Sears department stores. For more information on Sears and the Kingsport press, see the entry about the Readers Library. 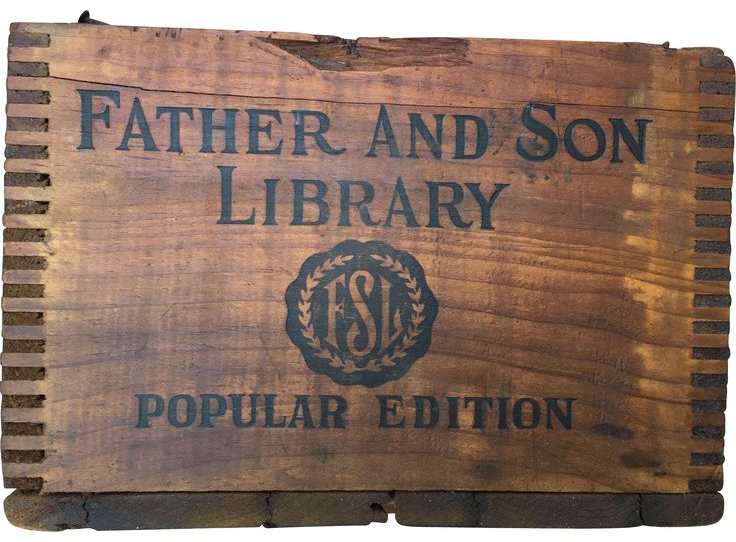 The inspiration of Sears’ Father and Son Library was the early 20th century “Father and Son” social movement that spurred a range of activities, including sports, scouting, and other similar activities all intended to foster the “tie of companionship between father and son” (from the dust jacket). 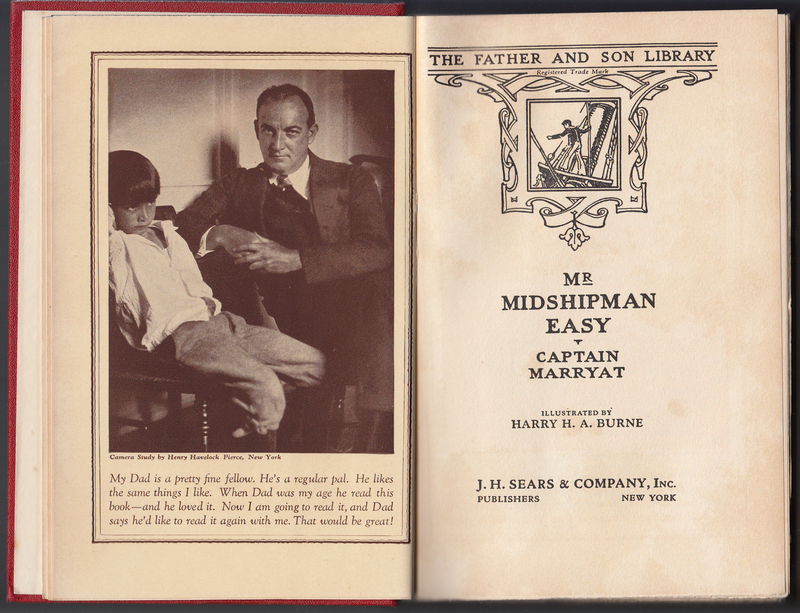 Unlike the earlier Father and Son Library, Sears’ series consisted of reprinted classics, “those great classics of youth, the fine, brave stories which tower high above the rest of literature for boys. 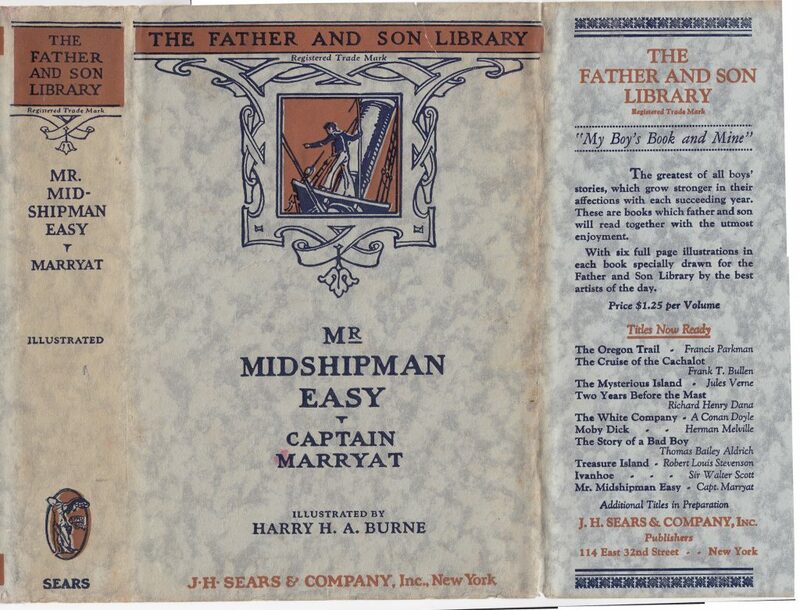 They are not too young for the father to enjoy reading, and not too old to hold the interest of the boy” (dust jacket). Francis Parkman, The Oregon Trail (1927). Illus. by C.A. Van Etten. Frank T. Bullen, The Cruise of the Cachalot (1927). Illus. by Mahlon Blaine. Jules Verne, The Mysterious Island (1927). Illus. by Lloyd Osborne. Richard Henry Dana, Two Years Before the Mast (1927). Illus. by Mahlon Blaine. A. Conan Doyle, The White Company (1927). Illus. by Anders D. Johanse. Thomas Bailey Aldrich, The Story of a Bad Boy (1928). Illus. by Henry C. Kiefer. Robert Louis Stevenson, Treasure Island (1928). Illus. by Harry H. Burne. 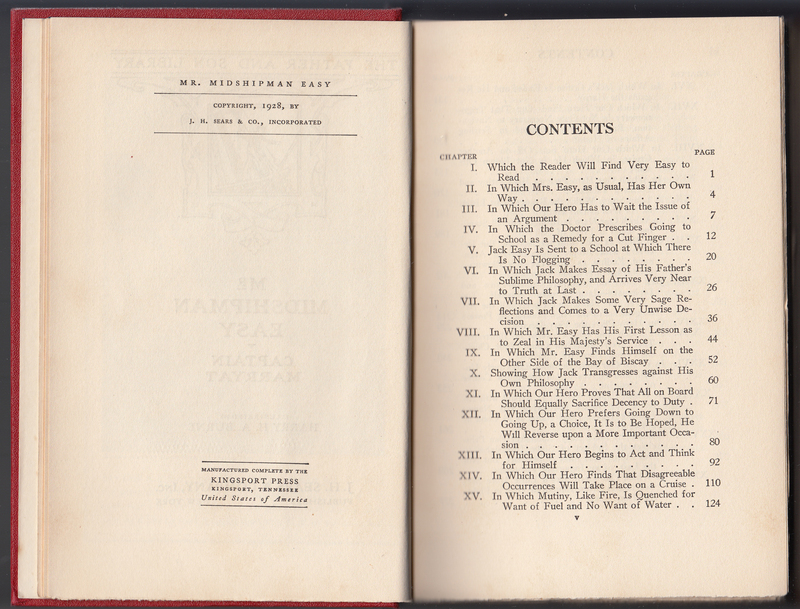 Sir Walter Scott, Ivanhoe (1928). Illus. by Henry C. Pitz. 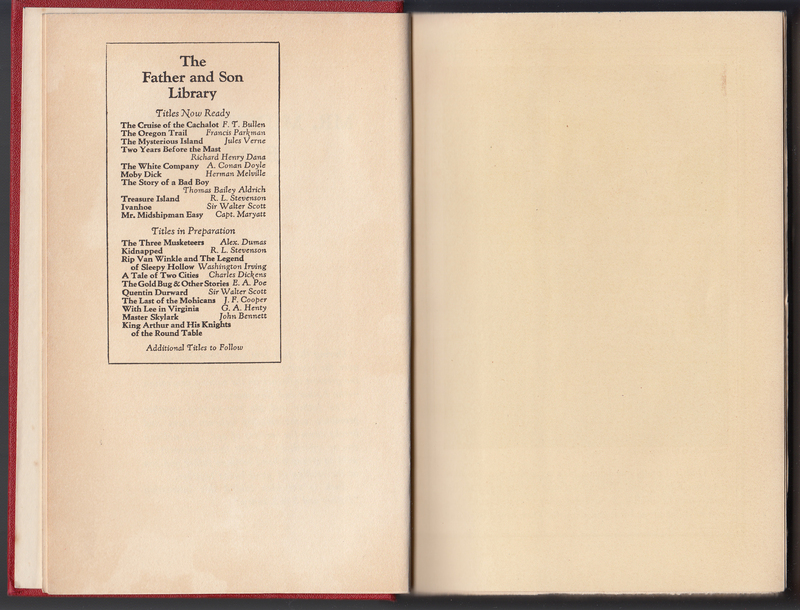 Unlike the dirt-cheap (10 cents) Readers Library, the Father and Son Library was a decently produced book. It also cost $1.25 per volume. Each title had illustrations newly created for the series. Jackets are printed on heavy, faux vellum paper. 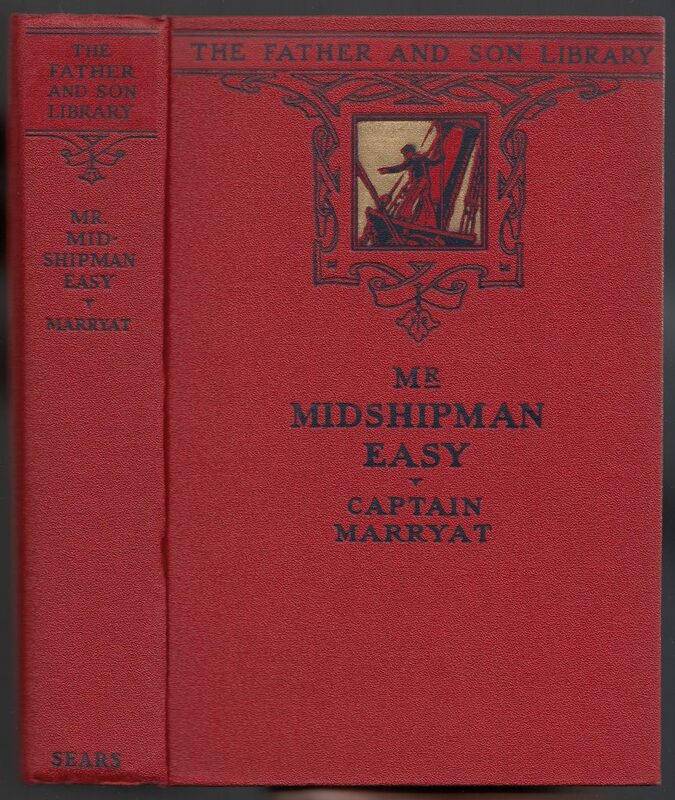 The series name is prominently noted on the jacket spine, front, and front flap. “Registered Trade Mark” is noted below each indication of the series name. The trademark to this name may have been held by the Father and Son League. The jackets are mostly common from title to title, although the small illustration in the top center of the front of the jacket undoubtedly varied from book to book. The illustrator (in this case Harry H.A. Burne) is noted on the jacket front. The front flap blurbs the series, and includes its slogan “My Boy’s Book and Mine.” Ten titles (all that were published) are listed on the front jacket flap. The back of the jacket further elucidates the purpose of the series. 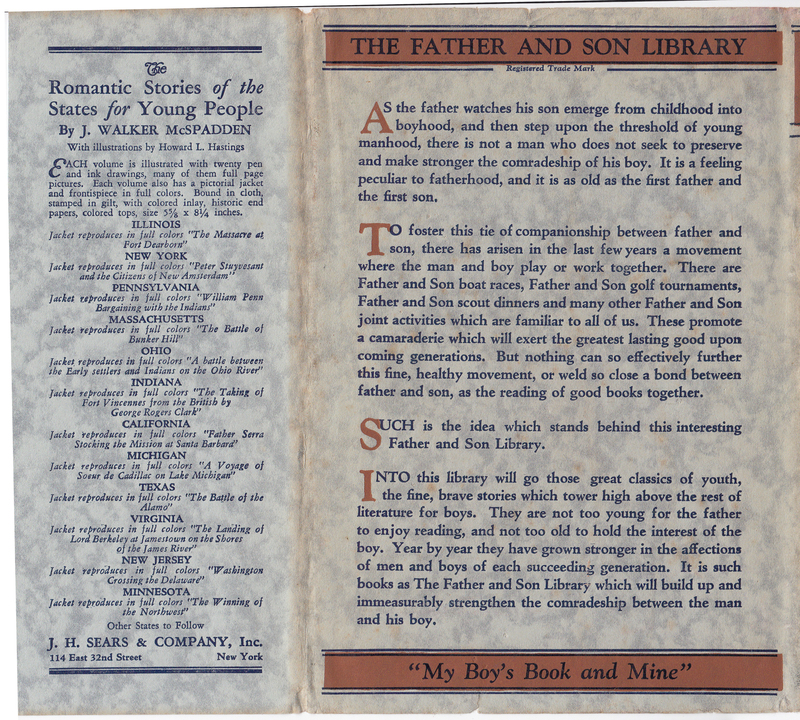 The rear jacket flap advertises the Romanic Stories of the States for Young People series. The books are bound in a faux leather material, possibly some form of fabrikoid. The design of the book mimics that of the jacket but does not include the illustrator’s name. The half title page also includes a repeat of part of the blurb about the series also printed on the jacket. A somewhat peculiar photograph (a “camera study” by Henry Havelock Pierce) faces the title page, where son (of Father and Son) does not look that excited about the new reading regimen. 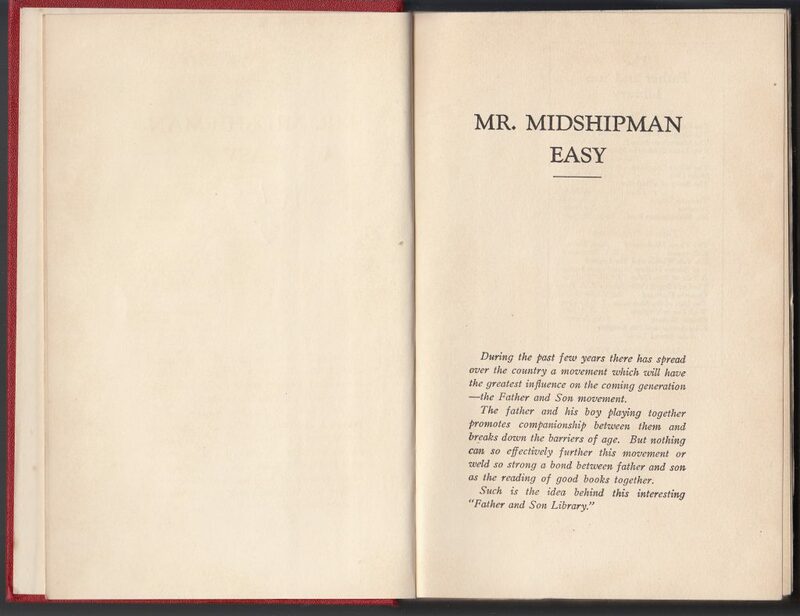 The title page replicates some of the design from the book jacket and cover. 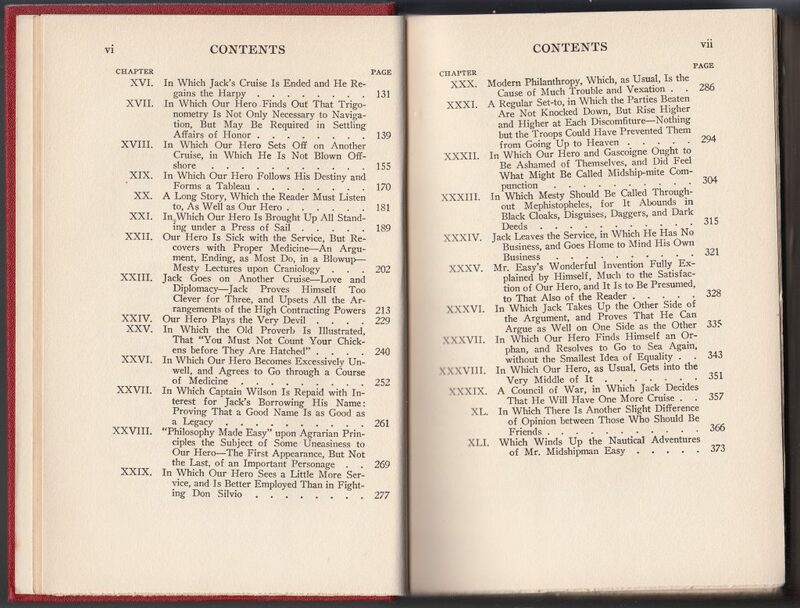 The copyright page includes the year 1928, as well as the Kingsport Press printer indication. The contents begin on the facing page. 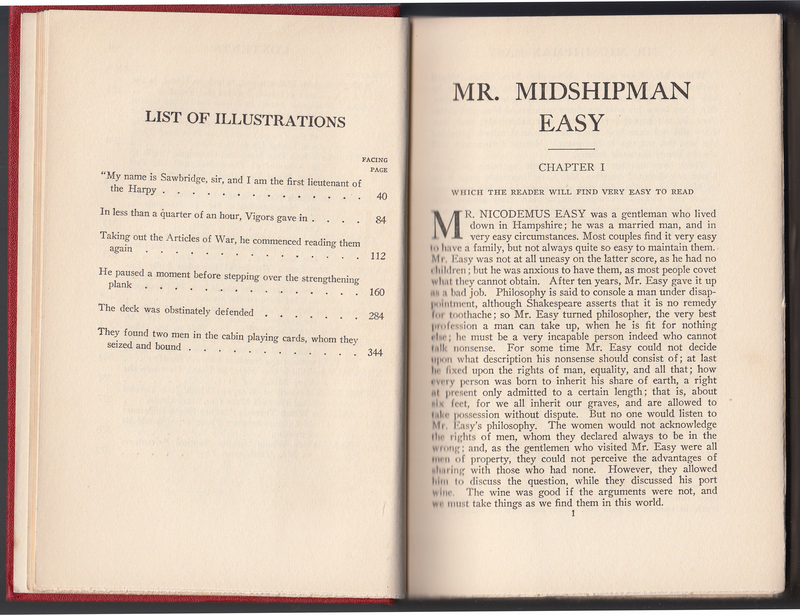 A list of illustrations is followed by the first page of text.